Children and parents alike may well recognise the scenario of this delightful bedtime story, in which a mother nudges her daughter to get ready for bed, while the little girl protests that she can’t, ‘Not yet!’, at every stage of the process. And indeed she can’t, because there are just so many adventures to have with her imaginary animal friends, whether it’s standing on her head like a frog, brushing her teeth while an elephant flosses his tusks or, yes, kissing a bouncing kangaroo. At the end, the tables are turned and it’s the little girl who asks the question: ‘Will you turn out the light and hug me good night?’ – and her mother’s answer is a resounding ‘YES!’, again contrasting with the chorus of ‘Not yet!’ that, no doubt, young children will love echoing, both during the story and afterwards! The rhyming text works well, helping to convey the unity and playfulness between mother and daughter and allowing each stage of the bedtime to progress. At the same time, the mother’s words do step up a gear from coaxing questions to restrained exasperation that is conveyed both by the use of capitalisation and by the increased ratio of stressed syllables in her words – so for example, when the little girl says she’ll ‘BRUSH furry bear’, mum says, ‘Please brush YOUR OWN HAIR’. All this makes for a great readaloud! And the illustrations are a joy too. In line with the narrative, they oscillate between the domestic scene of the little girl’s bedtime and her flights of imagination, playing with a menagerie of different animals. As they become familiar with the story, young readers/listeners will enjoy finding all the animal objects that have triggered her play – and not just toys: for example, in the bathroom, the bathmat is shaped like an alligator; the towel hooks are a rhinoceros; and next to her toothbrush there’s a plant in an elephant-shaped pot (I want one!). 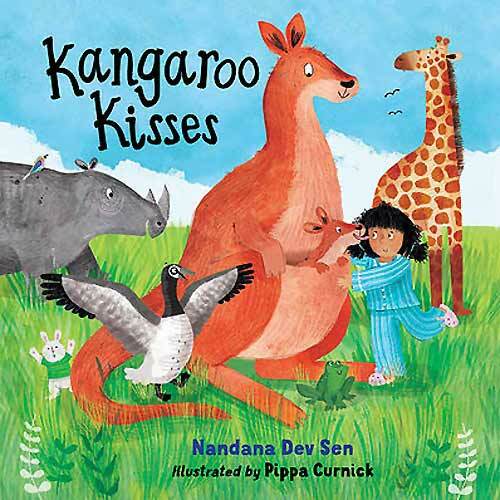 Kangaroo Kisses is author Nandana Dev Sen’s first book published in the UK – but hopefully not the last. As well as being a writer, Nandana is a well-known actress and children’s activist in her native India. Pippa Curnick was a winner of the Seven Stories Illustration Competition in 2012, through which she was selected as one of the illustrators of Over the Hills and Far Away: A Treasury of Nursery Rhymes from Around the World (Janetta Otter-Barry Books/Frances Lincoln, 2014). Kangaroo Kisses is one of those book that it is easy to take for granted because it is so well crafted that it requires no particular effort to make it into a great shared readaloud experience. It is one of the first set of titles for new publisher Otter-Barry Books, who officially launched last week – an exciting development in UK children’s publishing. Taking Kangaroo Kisses as an example, we can certainly look forward to some wonderful books that encompass diversity and promote empathy – and that children will want to have read to them again and again. 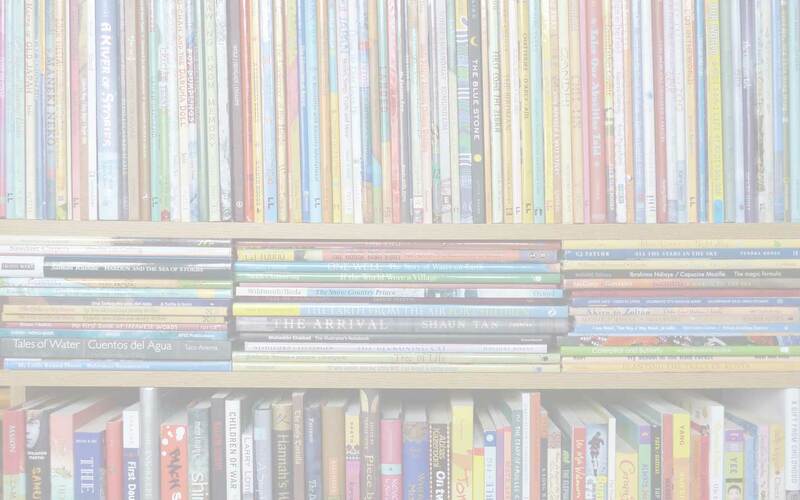 bedtime stories, Frances Lincoln, Janetta Otter-Barry Books, MWD book reviews, Nandana Dev Sen, Otter-Barry Books, Over the Hills and Far Away, Pippa Curnick, Seven Stories. Bookmark. Great review! I think we will add it to our list of books to check out this year. Sounds like a great read-aloud for a library story time! Yes, I think it would work well – the childen would all be competing with each other to call out the not-yets!